Below are links to recommended installers in various major population centres throughout Australia who are part of the SolarQuotes network, plus some additional information on solar in each location. Of course, we also have trusted installers in our network outside of these areas. If you’re looking for a price and advice on a quality system, check out the top ranked installers that offer services nationally below, or submit your details for a free, zero-obligation solar quote and we’ll match your needs with an installation professional that services your area. The following link lists recommended solar installation companies that provide services across Australia. With so many experienced installation professionals across the country, there’s sure to be a quality company near you or that services your general area. 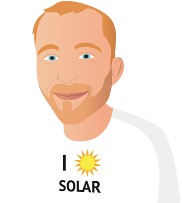 Submit your details now for up to 3 quotes from firms we trust that can get you on your way to tiny electricity bills through harvesting solar energy from rooftop.